My birth name was Daria Olena Korzeniowski. 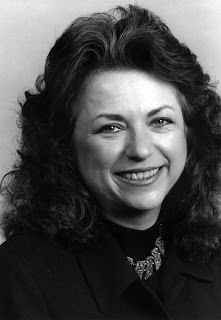 I was born in Philadelphia, PA in 1954 to immigrant parents who left their country, a part of Ukraine at the time ruled by Poland, during World War II. The town my parents hailed from was near Lviv, called Yaroslaw. But my father, Marian Korzeniowski, originally came from Peremyshl. Przemyśl in Polish [ˈpʂɛmɨɕl] ( listen) (Ukrainian: Перемишль, Peremyshl, German: Premissel) is a town near where Joseph Conrad was born and raised. Joseph Conrad was born Jozef Teodor Konrad Korzeniowski on 3 December 1857 in Berdychiv, in a part of Ukraine that before 1793 had belonged to the Kingdom of Poland and was at the time of his birth under Russian rule. His father Apollo was a writer and revolutionary who died young. Jozef was brought up by his uncle, suffered from depression and anxiety, and was sent to Marseilles to initiate a career as a merchant seaman after a failed suicide attempt. He became a British subject and wrote brilliantly in English, despite not having learned it until in his 20s. He is to this day considered one of the most important writers in the English language. Joseph Conrad, my great uncle? Ironically, my parents lived in Poland but considered themselves Ukrainian. 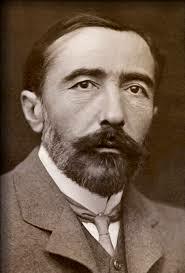 Joseph Conrad, at a different point in time, lived in Ukraine but was raised Polish. How confused those borders made things. My father considered himself Ukrainian while Joseph Conrad considered himself Polish, yet they shared the same name and hailed from the same area. I have not been able to confirm a relationship, but I have always thought of him as a great uncle. A muse of sorts, one might say. I was born in America but I did not learn how to speak English until I went to school at age 6. I spoke Ukrainian and went to Ukrainian school every Saturday until I was 18, when I succeeded in completing matura. I may be typical of the diaspora of many immigrant populations in the US. I, too, suffered from depression and anxiety when I was in my teen years. I wrote poetry and prose, filling book after book with writings. What I put down on paper was so provocative and dark that I destroyed it later in life. I wish I had kept it. I wish I could go back and read my thoughts, because although I remember the time, I don't remember the works. Only one. I wrote a poem in Ukrainian for which I won a literary award. I was so proud. I so wanted to be a writer. I wish I could read it again. When I was about 15, I opened the window of our second story home and climbed out on the ledge preparing to jump, when a young boy came walking by. He looked up and saw me in the window and stopped walking. He stared up at me with this incredulous, startled expression that made me step down and walk away. I wish I knew his name. I wish I could tell him that he saved my life that day. Just by seeing me. I had been invisible until then. It's strange, but that is the only thing I remember about that house we lived in for only a year or two. I can describe in detail every single house I've lived in before or since, but not that one. I wonder what my mind is hiding from my consciousness. Fortunately, depression has rarely reared its head again, and I turned into a rather optimistic person, applying healthy doses of enthusiasm to most pursuits. But I still remember the intense creativity that the protracted brush with depression in my youth had triggered. It was riddled with introspection, existential thought, anger, pointlessness, and very deep questions. I wish I knew if any of its product was any good. I, too, like Conrad, have a fascination with the sea. I went to sea after a longstanding and successful career in medical marketing. You might say that I ran away to sea, away from the pressure and seemingly meaningless nature of the typical American workplace. Although I am not a merchant seaman at present, I do have my merchant seaman's credentials - a captain's license issued by the US Coast Guard. I have crossed the Atlantic three times in three years with just my husband and our cat for company aboard our 57-foot ketch. I have had epiphanies at sea and I write stories about our adventures and the life-altering experience of crossing oceans and meeting people from different backgrounds who have vastly different points of view. I feel a kinship with Conrad in that regard. When I was young, I always used the name Conrad as my pseudonym in making restaurant reservations. I pretended that I had what it took to be a Conrad. It was so much easier than being a Korzeniowski. It might prove to be too much to live up to, but right now I am using it as inspiration. Why not write the great human novel? Why couldn't I apply myself to that task and succeed? I know I can write poignant prose. Not poetry, which has no license these days. But can I stand up to the scrutiny of my great uncle looking down upon me from his tortured perch somewhere above or below? Will I hear his voice in the darkness suggesting edits that I find brilliant or repulsive? I suppose I shall find out.The journey has begun.